Las Vegas is a busy place, and although it seems that every business is booming around the clock, it can be difficult finding an emergency dentists in Las Vegas in the nick of time. Because we know dental pain is no joke, Emergency Dentists USA provides a comprehensive listing of emergency dentists in Las Vegas, making it simple to choose a dentist who suits your needs no matter what time of the day or night. This listing includes 24-hour dental clinics along with dentists who offer after hours care in the evenings and on weekends. We can help you find a walk-in clinic to get you seen immediately for your emergency, with no need to spend hours searching the web or calling office to office. Emergency Dentists USA is an excellent resource for finding the right dentist to suit your current needs. Browse through the listed dental offices to choose a clinic that is open right now, or select a dental office that provides office hours that fit into your schedule. Call the Las Vegas Emergency Dentists USA hotline to get assistance in choosing the right dental clinic immediately. We’ve chosen the following listings to provide a good variety of quick walk-in dental clinics, emergency dental clinics, and clinics that offer after hours services, so you can find relief for your dental pain that fits your schedule. There are many types of emergency dental clinics in the city of Las Vegas, with hours designed to suit your emergency dental needs. Choosing the right emergency dentist is simple when you use Emergency Dentists USA. A walk-in dental clinic usually holds regular business hours and can see you immediately to relieve your dental pain, even without appointment. An after hours dentist will accept either walk-ins or appointments after regular business hours. Some offices in Las Vegas are open as late as 7 pm. Many of our listings accept walk-ins that offer some extended hours, like Dr. Azimi, Summerhills Dental, and Las Vegas Smile Center. An emergency 24-hour dental clinic offers emergency care around the clock in a walk-in style clinic. The University of Nevada Emergency Dental Clinic provides 24-hour emergency care and has an after hours emergency line to help you get immediate attention. There are several offices who have a dentist on call late, some even 24-hours a day. Access Emergency Dental has a doctor on call until 7pm on every day of the week, and Urgent Dental has a doctor on-call 24/7. “If this is your first time meeting the dentist, do your homework before arriving for your appointment. Bring with you a complete list of your important health information. This includes all of the medicines that you currently take, whether prescribed or not. Description: This is a national directory that has Las Vegas weekend dental care options. Call our hotline and in just a couple of minutes, you will have more information about the dentists that offer services after hours in your area. Easily find Nevada emergency dentists with our service. Description: This dentist in Las Vegas NV understands the anguish dental issues can cause you, that’s why we’re here to help. They have the latest technology and are commitment to quality urgent dental dental healthcare to relieve your pain quickly. Urgent Dental provides services such as implants, wisdom tooth extractions and other emergency procedures. They are open regularly every Saturday and their phone line is open 24-hours to schedule emergency appointments after hours, including on Sundays. They accept most major dental insurance and financing through Chase Health Advantage. They will not accept personal checks, but will take money orders, cash, and all major credit cards. Urgent Dental has doctors on call 24/7 who will schedule appointments in the evenings and on Sundays. Description: This is the number one choice for emergency dental care in Las Vegas, a city that has appreciated their dedication to commitment and attention to medical detail that they offer. Here you can obtain digital x-rays, root canals, extractions, service for temporary crowns, denture repairs, replacement of fillings, and you can usually get in for a same-day appointment. Their office has offered emergency services to the Las Vegas area for over 20 years, and they are open on both Saturday and Sunday as well as many holidays. During regular office hours they will accept most forms of payment, including cash, all major credit cards, and care credit. They work with most major dental insurance companies as well. For appointments on holidays, weekends, or after regular hours they will only accept cash and major credit cards. Access Emergency Dental Care has an emergency dentist on call Sunday through Tuesday, holidays, and every other day after business hours until 7:00 PM. Description: This prestigious school of dental medicine is regularly open Monday through Friday from 8:00 AM to 5:00 PM. However, they do offer 24-hour care and have a 24-hour emergency number for after hour emergencies. The institution as a whole is committed to increasing access to quality health care for all residents, and makes a large difference by serving nearly 60,000 patients annually. There are separate clinics available at 3 different locations within the city of Las Vegas, and every site is close to public transportation. When you crack, dislodge, or are otherwise worried about an infection within a tooth, these scholars bound for greatness are some of the best individuals to look over you oral health concerns, and make sure that you are seen quickly. They accept cash, checks with proper identification, and Visa, Discover, and MasterCard credit cards, as well as most forms of major insurance. The UNLV School of Dental medicine offers 24-hour emergency care. Immediate appointments are available by calling their emergency line after regular hours. Description: Dr. Azimi is an expert in general, cosmetic, and restorative dentistry and has also thoroughly studied dental implants, bone grafting, and socket lifting techniques that make him well equipped for most dental emergencies. Their office is open late every Monday and Wednesday, until 7:00 PM and opens early on Tuesday and Thursday, at 7:00 AM. They accept most major credit cards, cash, Care Credit, and work with Lending Club to offer financing solutions. Description: Summerhills Dental is a great option for a clinic that is open late during the week, and they are open until 7:00 PM on Monday through Thursday. This is a great option if you are looking for family dentistry or emergency dental care for a child. Dr. Allen opened the clinic in 1994 and has been working since to offer dental care including cosmetic, restorative, and implant dentistry and more. They offer sedation methods for the nervous patient. This office accepts all major credit cards, cash, check, Care Credit, and most major dental insurance. A visit to the emergency dental clinic is just like visiting your regular dentist office. Most emergency dental clinics offer a variety of services including simple x-rays and fillings along with more comprehensive exams, dentures, and implants. If you are visiting a dentist other than your regular dentist, you will be considered a new patient. This means you will be required to fill out certain paperwork that seeks to obtain information regarding your identification, insurance, medical history, and more important information. Gather your important dental records prior to your visit to the emergency dental clinic. If you have recent dental x-rays, bring them with you to your appointment. The emergency dentist may take new x-rays for comparison. If you have allergies to any type of medication, let the dental office staff know prior to your visit. Bring a list of your current medications to the dental appointment. Try to arrive approximately 15 minutes prior to the dental appointment so that you have plenty of time to fill out the necessary paperwork. Bring your dental insurance card and your identification to the appointment. Make sure that your new dentist accepts your form of payment. Most emergency dental clinics take cash and many credit cards. If you require a payment plan for your dental services, speak to the office staff regarding your options prior to seeing the dentist. Ensure that the emergency dental clinic accepts your dental insurance. This can save you a substantial amount of money when you choose a dentist in your insurance network. Many emergency dental clinics will require payment up front until your insurance can be processed. Be aware that sometimes clinics charge extra fees for dental care after regular hours, especially if there is a dentist on-call. These fees may need to be paid up front, but are usually a small price to pay for relief from your severe dental pain. 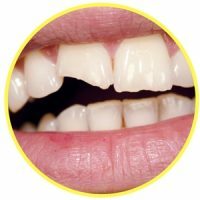 An abscess is a type of infection that usually occurs around the tooth’s root or in the space that lies between the teeth and the gum. 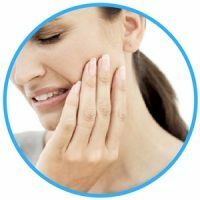 The abscess is a serious health issue because it causes damage to the tissue that surrounds the teeth, and the teeth themselves. 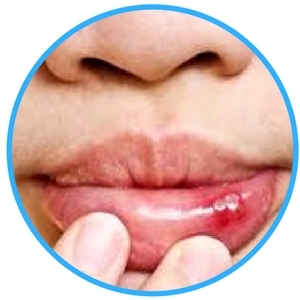 Rinsing the mouth with a solution of warm salt water can help to draw the pus from the infection towards the surface and may relieve some of the pain. 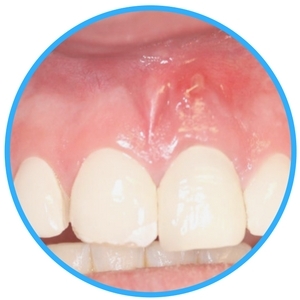 Untreated, the infection may spread to other parts of the body, including gums, teeth, and even bone. An abscess is generally quite painful and requires immediate attention from a Las Vegas urgent care dentist. Soft tissue injuries are another type of common dental emergency often arising from an accident or fall. Begin treatment by rinsing the mouth with warm salt water and pressing a moistened tea bag or piece of gauze against any area of the mouth that is bleeding to control the blood flow. A cold compress held to the outside of the mouth or cheek will relieve swelling and help with any pain that is experienced. If the bleeding is difficult to control or will not stop, it is important to see your Las Vegas emergency dentist as soon as possible for treatment. A toothache is extremely painful and is probably the most common cause of an emergency dental visit. The pain from a toothache could be caused by debris caught between the teeth, a broken tooth, or even an infection of the gums or teeth. Rinsing your mouth with warm saltwater and flossing to remove anything caught between the teeth is a good start when managing a toothache. If your mouth has swelling, you can use a cold compress to relieve this symptom and to soothe the pain. A toothache should be evaluated by a Las Vegas emergency dentist as soon as possible in order to determine the cause and start treatment. A chipped or broken tooth is definitely no fun, especially when you are on your vacation in Las Vegas. If you can save the pieces of your tooth, gather them together and rinse them carefully. Rinse the inside of your mouth with water and apply gauze to any areas that are bleeding. Use a cold compress to reduce swelling on the outside of the mouth, and to help to relieve any pain. Visit your Las Vegas emergency dental clinic as soon as possible to repair the chipped or broken tooth. Delaying the visit can cause additional damage to the tooth, especially if you are eating. An emergency tooth extraction is a scary experience if you do not know what to expect. You might need a tooth extracted because of damage due to decay or an injury. In most cases, an extraction that is accomplished quickly requires less pain medication and fewer antibiotics than an extraction that takes place once an infection occurs. The time that it takes to heal completely from an extraction is generally one to two weeks when it is accomplished in a timely manner. Waiting too long means the time to heal increases, along with the pain. When the dentist prepares to extract a tooth, he or she will generally take a set of x-rays to get an idea of the tooth’s health. The area surrounding the tooth is injected with a local anesthetic. A general anesthetic can also be used depending on the situation. A special tool is used to pull the tooth out of the gum, or the tooth is broken into smaller pieces and then extracted. Gauze is placed into the hole where the tooth was located, or in some cases the gums are stitched closed using a type of material that dissolves over time. Complete healing usually occurs within one to two weeks of the procedure. Sometimes a visit to the emergency room is just what you need when you are experiencing a dental emergency, especially if you were involved in a car accident or have a sports injury. The ER visit will ensure that the damage to your tooth is the only medical issue you are facing, and often the physician can alleviate your pain with medications. Unfortunately, an ER physician is not a dentist and cannot repair teeth during your emergency room visit. You are most often referred to an emergency dental clinic for follow up after that ER visit. The emergency room visit is generally quite expensive, making a trip to an emergency dental clinic less costly in many cases. An ER may have a long wait, and a walk-in dental clinic makes it simple to avoid sitting in a waiting room for hours. If your dental emergency does not stem from an accident or injury, the emergency dental clinic can provide the best care at the best price. In the case that the emergency involves a broken or knocked out tooth, you should visit an emergency dentist immediately, assuming there are no other medical emergencies present. They are equipped to handle the situation and treating the situation immediately increases the chances of the tooth being saved and reimplanted in the gums effectively. When you pick a dentist to treat your dental emergency, it is always a good idea to ensure that he or she is licensed and board certified. When choosing an emergency dentist you should verify each option with the American Dental Association. For dentist in Las Vegas, NV, check with the Nevada Dental Association and the Las Vegas Dental Association to verify to dental clinic you choose. With the resources you will be able to find information for each dentist regarding their board certifications and more relevant information on their qualifications. We understand that dental emergencies can happen any time of day or night, and they don’t always happen at the most convenient times. You should never have to suffer through severe tooth pain, and it shouldn’t take bending over backwards to find an emergency dentist to help you with your dental emergency. Emergency Dentist USA is dedicated to cutting the extra foot work for you and instantly connecting you with a dentist that can meet your needs on your schedule. The Emergency Dentists USA website is designed for informational purposes only. The information provided on this website should never be used to replace the actual advice of a medical professional. If you are having an emergency and are unable to reach a dentist, call 911 or proceed to the nearest emergency room to ensure immediate response and safety.